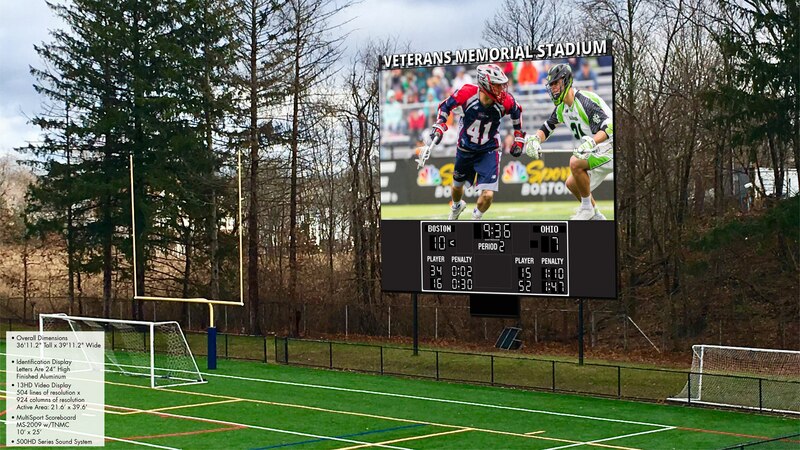 QUINCY, MA – The Boston Cannons of Major League Lacrosse (MLL) and the City of Quincy today finalized an agreement that will result in the Cannons investing over $1.5 million in major improvements to their new home, Veterans Memorial Stadium in Quincy, MA. As part of the multi-year agreement, the Cannons will make significant improvements at the historic stadium to greatly expand and enhance the experience of fans and all other users of the stadium. The team will play their first of eight home games at the stadium on June 1 versus the Ohio Machine. Located just eight miles south of Boston and easily accessible by both Interstate-93 and the MBTA Red Line, a renovated Veterans Memorial Stadium will allow the Cannons to add to Quincy’s already revitalized downtown. The newly upgraded stadium will reaffirm the Cannons’ community commitment as the renovations will benefit all users of the stadium, including many local youth sports programs. Partnering with the city of Quincy allows the Cannons to make an impact in the community and further grow the roots the team planted when it moved its executive offices to the city in 2016. The $1.5 million investment is further proof that Cannons Majority Owner Rob Hale, who is also a Boston Celtics board member and founder of Quincy-based Granite Telecommunications, is committed to the growth of lacrosse, the fastest growing team sport in America and thriving part of the community. A state-of-the-art digital scoreboard and public address system will be the focal point of the renovations to improve fan engagement and experience. Provided by Daktronics, the industry leader in electronic scoreboards and programmable display system, the digital monitor will have a 40’x40’ dynamic video display to enhance the stadium experience and introduce opportunities for partner messaging and live in-game content and stats. Another significant improvement will be the installation of approximately 1,000 “Tip-Up” seats in the center sections of the main stand, providing fans a first-class seating experience. Provided by Hussey Seating, the leaders in professional sports venue seating, the Cannons have selected a seating product for fans that is equivalent to an NFL stadium seating experience. The Cannons will also introduce multiple new seating sections on the northern and eastern side of the stadium to provide more options for fans and expand beyond the current 3,500 seating capacity. The team will install a semi-permanent luxury pavilion called the Champions Club on the eastern side of the stadium. This exclusive ticketed area features premium food and beverage selections, a private patio, and an active interior space which will be the premier way to enjoy the professional lacrosse experience. The Citizens Bank Sideline Club is the “on-field” or “courtside” seating experience that will accommodate 250 people at each game and provides the “in-the-game” experience that is one of the best fan experiences in sports. At the northern end of the stadium, temporary bleachers placed to accommodate an additional 500 fans and will be a tremendous seating option for fan groups, charities and youth sports organizations. Additional renovations will focus on game-day amenities for players, media and Cannons personnel. New state-of-the-art professional-grade locker rooms, new facilities, and locker stalls and an upgraded press box with up to date internet and technology will be added to the stadium. “This extraordinary investment into Veterans Memorial Stadium will benefit all of our young people who use the facility every day as well the thousands of our residents who attend events there throughout the year. We are thrilled be partners with the Cannons and look forward to many years of collaboration,” said Mayor Thomas P. Koch, who negotiated the agreement with the Cannons. 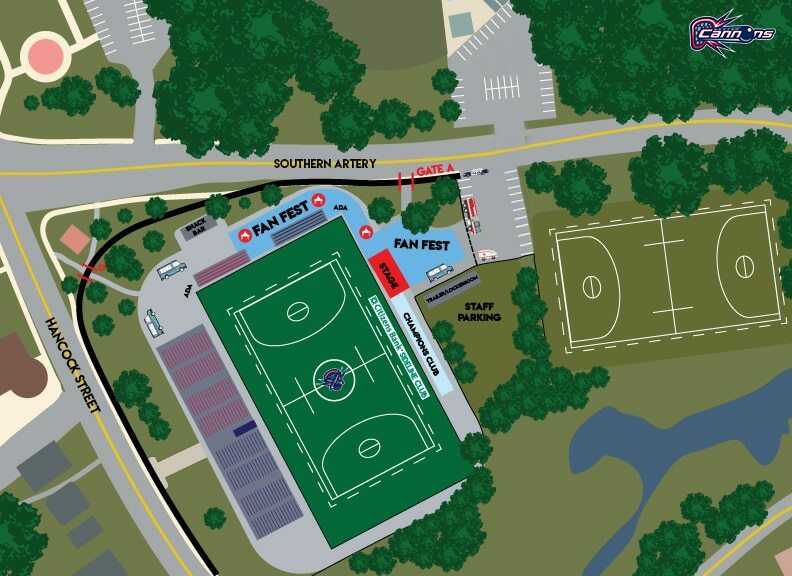 When the Cannons open on June 1, the team will unveil a first-of-its-kind Fan Festival for the pro lacrosse fan, offering an unparalleled and unprecedented experience. Each game, the Fan Festival will feature notable musical acts, all of whom have ties to the Greater Boston area. The experience will be unmatched across the league, with access to some of New England’s premier food trucks and beverage selections (both adult and non-alcoholic), and Cannons team partners. The Cannons’ community commitment will also be in full force at the home opener, as the team will kick-off its fourth annual “Cannons Fighting Cancer” program, which has contributed over $300,000 over three years to the National Foundation for Cancer Research and Boston Children’s Hospital. Most improvements to Veterans Memorial Stadium are scheduled to conclude by mid-May, ahead of the Cannons home opener on June 1. Experience a Cannons game in 2019 by reserving your seat today! Call (617) 746-9933 or email our Ticket Office today at Tickets@BostonCannons.com. 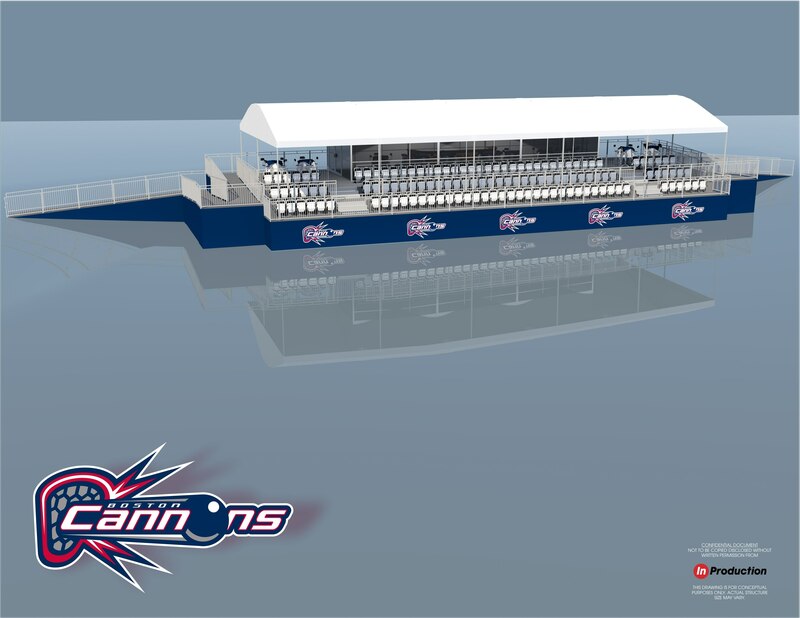 For more information about the Boston Cannons, please visit www.BostonCannons.com. The Boston Cannons are a Founding Member of Major League Lacrosse (MLL) and one of the most recognizable global lacrosse brands. Led by Rob Hale and his ownership team, the Cannons won the 2011 MLL Championship, have eleven playoff appearances and hold a league record with five MLL MVP’s over eighteen seasons. Off the field, The Boston Cannons Foundation was established in 2016 and is dedicated to benefiting children and families in the New England area. Veterans Memorial Stadium is an outdoor stadium located in Quincy, MA. This historic local landmark was built from 1937-1938 under the Works Progress Administration. Going through renovations of $1.2 million in 2006 that included accessibility improvements and field improvements for multiple sports to use the facility, the city recently added to the stadium by replacing the field turf in the fall of 2018.